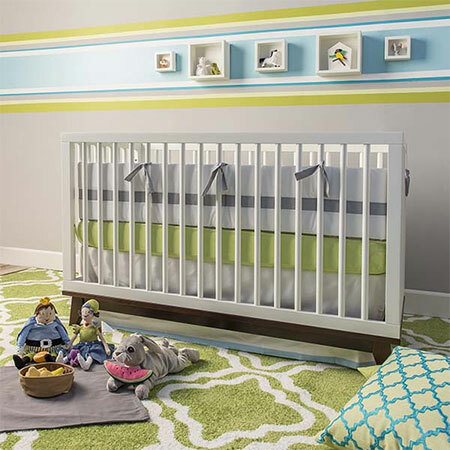 These colourful stripes will add visual interest to a nursery wall and you can choose your own colour combinations to match the decor accessories you have planned for the room. Pop into your nearest Builders Warehouse to see the range of Modo and Evolve paints that are excellent for decorating a children's bedroom or nursery. 1. 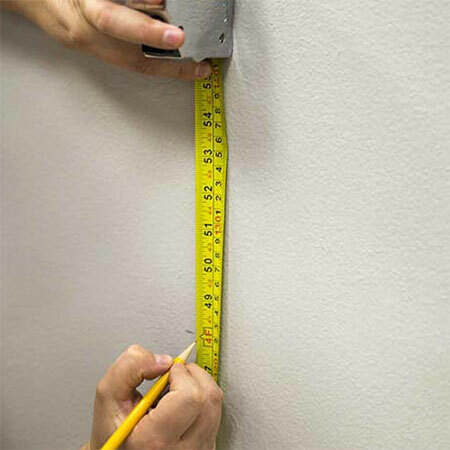 Use a tape measure to measure up from the floor to mark the height where you want to add the stripes. You can create as many stripes as you wish, varying the width according to your preference and how many colours you want to add. 2. 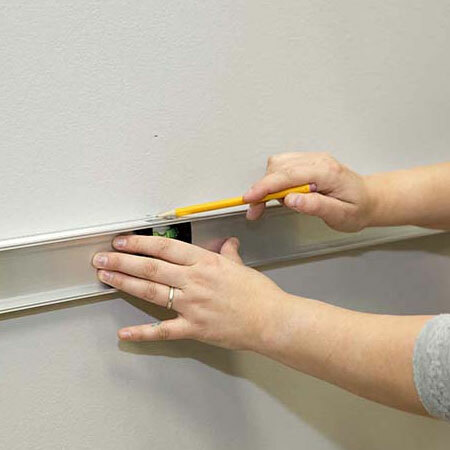 Take your spirit level and use this to draw horizontal lines across the wall. Do this for all your stripe lines. 3. 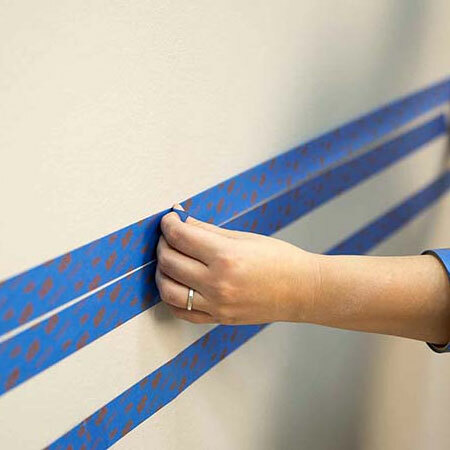 Follow all your drawn lines with a strip of masking or painter's tape. 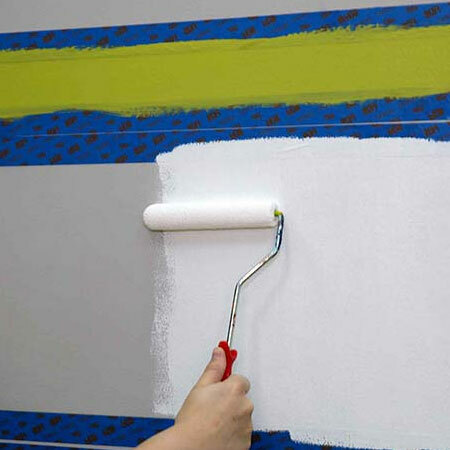 Make sure to press the tape down firmly so that you won't have any bleeding under the tape when you apply paint. 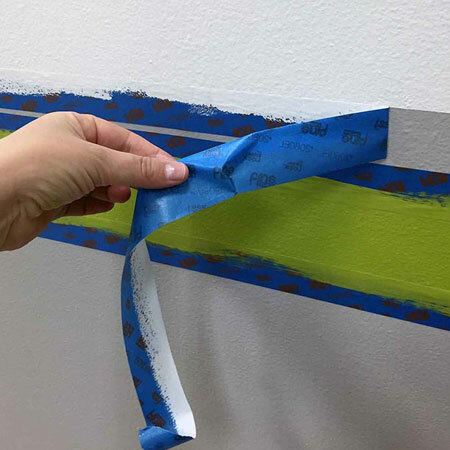 GOOD TO KNOW: Before you start painting, stand back from the taped wall and make sure that all the tape lines are perfectly straight. 4. 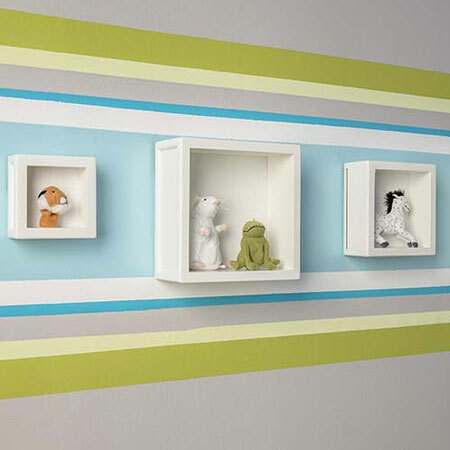 Paint the narrower stripes with a paint brush. 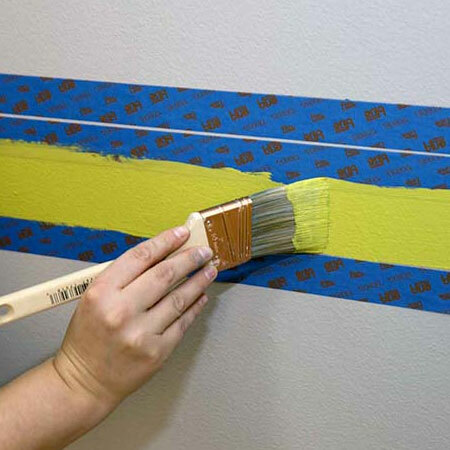 Only go from side-to-side with the paint brush, overlapping the tape slightly to ensure proper coverage. 5. 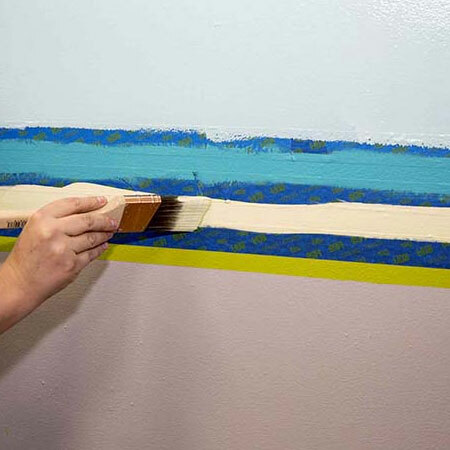 For the wider stripes, use a paint roller to apply the paint colour. 6. 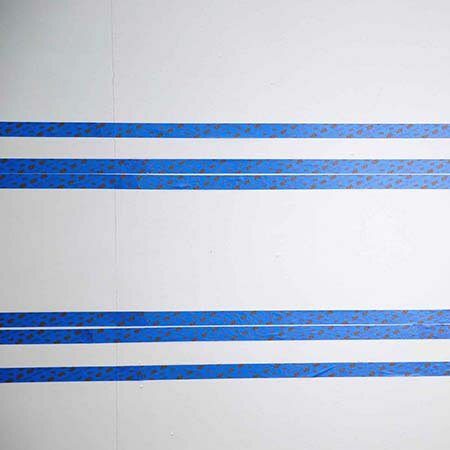 Before the paint dries completely, carefully peel of the tape. 7. Continue this process until all your stripes are complete. BELOW: Completed wall with two rows of colourful stripes.